Organising a wedding can be stressful, which is why brides and grooms may want to indulge themselves in a massage or aromatherapy treatment ahead of their nuptials. In which case, give Maria's Massage Therapy in Dublin a go. 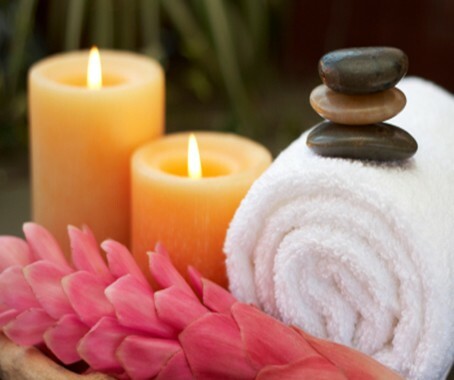 Specialising in holistic therapies, Maria has a large number of qualifications including those in aromatherapy, reflexology, Indian head massage, hot stone massage and many more. Therefore, you'll be in good hands if you want to relieve any tension before your Big Day and simply have some time to yourself relaxing. Among the treatments available are Swedish massage, deep tissue massage, aroma hot stone massage, reflexology, aromatherapy massage, back, neck, shoulders and head massage. Meso Vytal & the Amiea Vytal Micro-lifting are wonderful treatments for brides and mothers to enjoy before the big day. Brides could also get some semi-permanent make-up done at Maria's Massage Therapy if they want their wedding look to stay well into their honeymoon, as the make-up lasts for 18 months with a top-up after four to six weeks. Whether you want your eyebrows to be thicker and more defined, to not have to apply eyeliner for over a year, or your lips to be prominent and shaped, you'll be able to find what you're looking for here. For more information on the treatments available, take a look at Maria's Massage Therapy website. Provide your details below and Maria Massage Therapy will be in touch soon.